Elaine Chiosso has been Executive Director of the Haw River Assembly since 1997. She also served as the Haw Riverkeeper from 2008 -2017. She studied at UC-Berkeley and UNC-CH and has a B.S in Science Education. She has lived near the Haw River in Chatham County, since 1974 and currently serves on the Chatham County Environmental Review Committee. She is a former member of the NC Sedimentation Control Commission and the NC Water Infrastructure Council. In addition to her role as Executive Director, Elaine continues to work on pollution issues as senior policy advisor. 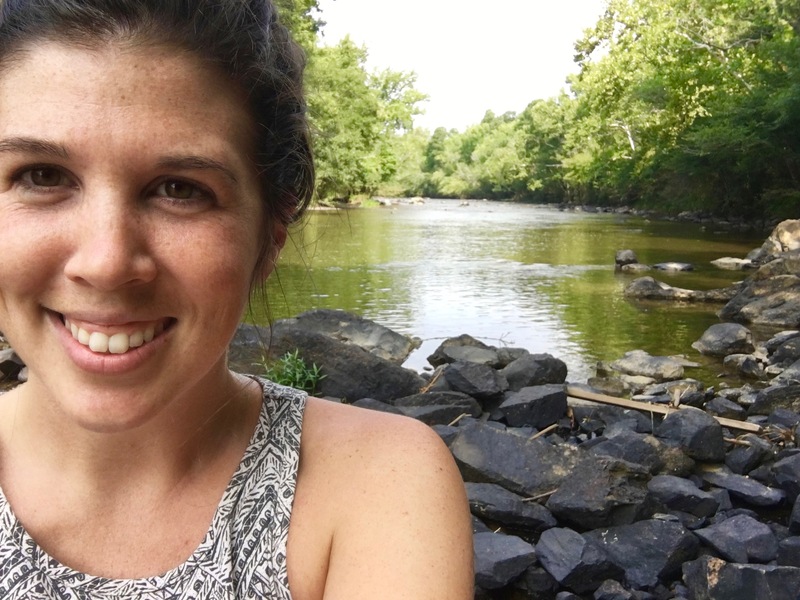 Emily Sutton joined the staff of Haw River Assembly in 2016, managing citizen science projects to watchdog against sediment pollution and monitor the tributaries and main stem of the Haw River. 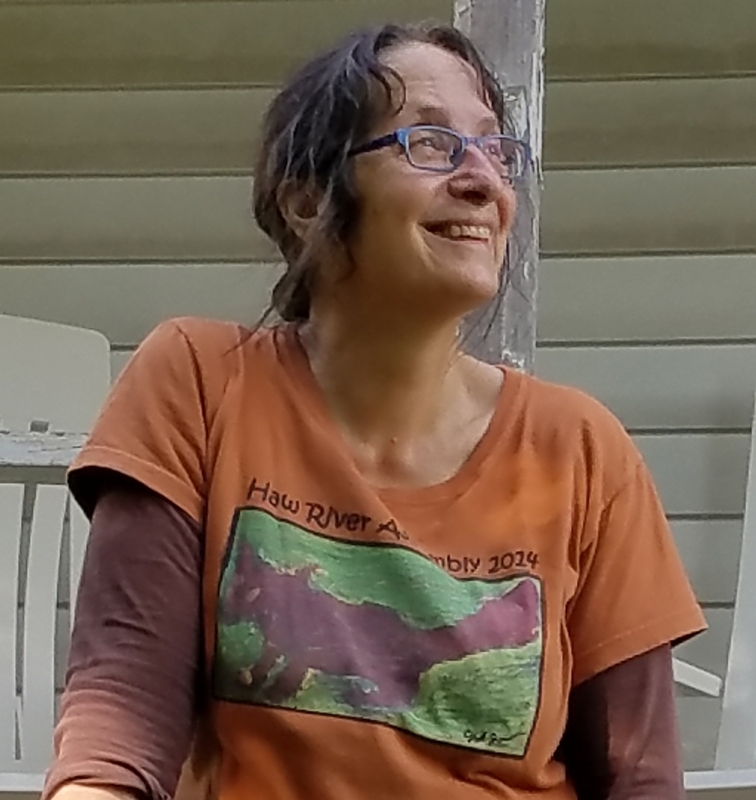 As Riverkeeper, she is now leading the fight against pollution in the Haw River on many fronts, including emerging contaminants, Jordan Lake nutrients, and sediment pollution. Emily grew up paddling rivers in the Midwest, and moved to North Carolina to received her B.A at Appalachian State University in Sustainable Development, where she studied Agroecology, Watershed Ecology, and Outdoor Education. Emily lives in Saxapahaw, NC. 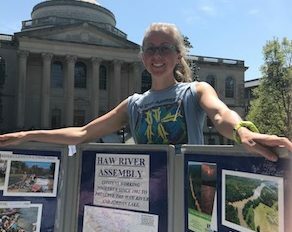 Erin Jobe joined the Haw River Assembly in 2017, and she coordinates various events including the Haw River Learning Celebration in the Fall, the annual Clean-Up-A-Thon, and the Haw River Festival. She also assist with other outreach events and environmental education programming throughout the year. Prior to working for the Haw River Assembly, Erin spent several years managing the Carrboro Farmers’ Market. Erin received her B.S. at University of Wisconsin in Community and Environmental Sociology in the College of Agriculture. She lives in Pittsboro with her husband and two dogs, and she enjoys spending time outside along the Haw River and all across the state.